During our Dorset recce, Dan and I stopped off in Weymouth Harbour for a quick hour long session. We were expecting the usuals but instead found a load of mullet, clearly feeding - rare! In hindsight I think the winning formula was low tide and a sunny afternoon causing an algae bloom or similar. 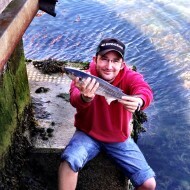 Anyway, long and the short of it was we both managed a Thin Lipped Mullet. I had mine on the classic split shot rig and small Isome section, while Dan had his on the much cooler, Ecogear Aqua Katsu Mebaru Shirasu on a jighead. You had to work out how they wanted it but they were definitely predatory when you did! Thank you Weymouth - a good one to tick off. 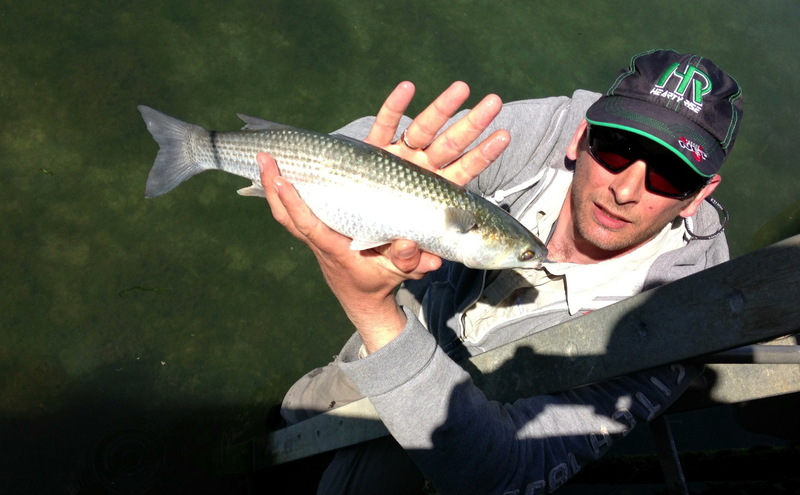 Super stuff, We have been trying with SP’s for mullet for while but with no luck, Well done agen. Thanks Sam. If it helps, the winning formula we found was finding the mullet feeding (the hard bit! ), dropping a lure in their path and as they move over replicating a fleeing creature. We observed follows on a number of occasions and the behaviour appeared very natural. I don’t think the lure type is important as long as it is tiny (1 inch). Good luck mate.